There are times when you just want to kick back and play some classic puzzle games. I am gathering up my favorites for you to play right here on Tyrneathem! At this time, we have Sudoku and Word Search. 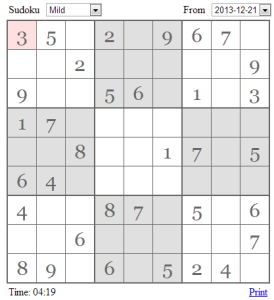 Sudoku is updated daily and contains a 10-day archive of puzzles. Word Search will be updated weekly with new word lists. 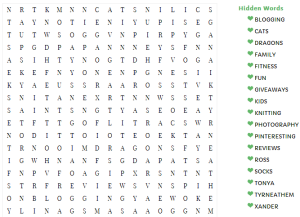 Click to Play Word Search!